The world of rock and roll confuses me. Let’s just go ahead and get that out of the way right now. The more I read about it, the less I feel like I understand it—and the less I feel like the bands who made it a reality understand it. Most bands’ stories read with all the coherency and plot twists of a primetime soap opera—crumbling relationships, promiscuity, drug dependency, public feuds, mudslinging, and then, against every semblance of probability, the previously disowned band members get back together for a highly successful reunion tour. Brown M&Ms: Not even once. So, when I would walk backstage, if I saw a brown M&M in that bowl…well, line-check the entire production. Guaranteed you’re going to arrive at a technical error. They didn’t read the contract. Guaranteed you’d run into a problem. Sometimes it would threaten to just destroy the whole show. Something like, literally, life-threatening (ibid). The M&Ms were a test. If the venue had overlooked the clause about the M&Ms—or worse, ignored it because it didn’t seem important—then it was entirely likely it had overlooked another, truly important article in the rider. Roth related the story of one venue which didn’t understand that Van Halen’s equipment “weighed like the business end of a 747,” so when everything was set up, “the staging sank through their floor. They didn’t bother to look at the weight requirements or anything, and this sank through their new flooring and did eighty thousand dollars’ worth of damage to the arena floor” (ibid). Never in a million years did I think I would transition directly from talking about a rock band into a spiritual principle, but here we go. Christ explained to His disciples that “He who is faithful in what is least is faithful also in much; and he who is unjust in what is least is unjust also in much. Therefore if you have not been faithful in the unrighteous mammon, who will commit to your trust the true riches?” (Luke 16:10-11). That principle is reflected the Van Halen’s M&M clause—if the venue could not be faithful in following that simple instruction, how could they be trusted to follow some of the vital technical instructions? The fact that one venue had an entire stage fall through their brand new flooring illustrates potential for damage in failing to adhere to the rest of the contract. As thick as Van Halen’s contract rider might have been, it’s safe to assume that the word of God is a bit thicker—and filled with instructions of much greater significance than the acceptable spacing of fifteen- ampere receptacles. In the space of 66 books, the Creator of the universe lays out the “vital technical instructions” for not only a fulfilling existence in this passing, temporary life, but also the pathway to eternal life in the Kingdom of God as His child. As ingenious as Van Halen’s M&M clause was, God beat them to the punch by several thousand years. With a set of instructions as important as the ones contained in the Bible, God provided a handful of “test commandments”—instructions that would make it obvious as to whether or not we’re paying attention. Instructions that make it clear whether or not we’re taking His word seriously. The Sabbath is a day of rest; not a vacation day. If we’re using a day intended for worshipping and honoring God as a day to serve our own interests and hobbies, then what other parts of God’s law are we failing to properly honor? Not that the Sabbath is the only thing God looks for in His people. He calls it a sign, not the sign between Himself and His people (Ezekiel 20:12). Other “no brown M&M clauses” include Paul’s admonition to “let no corrupt word proceed out of your mouth” (Ephesians 4:29), to “in lowliness of mind let each esteem others better than himself” (Philippians 2:3), and of course Christ’s command, “By this all will know that you are My disciples, if you have love for one another” (John 13:35). These are just a few of the benchmark indicators that help reveal whether or not we’re serious about living “by every word that proceeds from the mouth of God” (Matthew 4:4). When it came to Van Halen’s contract rider, there were two main reasons technicians might have failed to honor the “no brown M&Ms” clause: either they completely overlooked it when reading through the rider, or else they saw it and didn’t think it mattered. Neither of these scenarios is particularly comforting when some of the other requirements were literally a matter of life and death. If they overlooked that one clause, what other clauses did they miss? Would a steel support beam break mid-performance? Would an electrical outlet fry an unsuspecting band member? And if they read that clause and felt like it wasn’t important enough to follow, then what other clauses did they take this “pick and choose” approach with? Both scenarios suggest a high probability that something very important was overlooked. This life is peanuts compared to the responsibilities we’ll face serving as kings and priests in the Kingdom of God. If we’re skimming or ignoring the instructions for this passing, temporary life, why on earth would God trust us with something as monumental as membership in His eternal family? Now is our time; now is our proving ground. God’s way of living ought to be something we continually strive to internalize, seeking daily to allow His Holy Spirit to bring our feelings and thoughts ever more in line with His own. There is no inconsequential or unimportant aspect of the word of God. It’s all vital, and it’s all worth our complete attention. Even the bits about brown M&Ms. 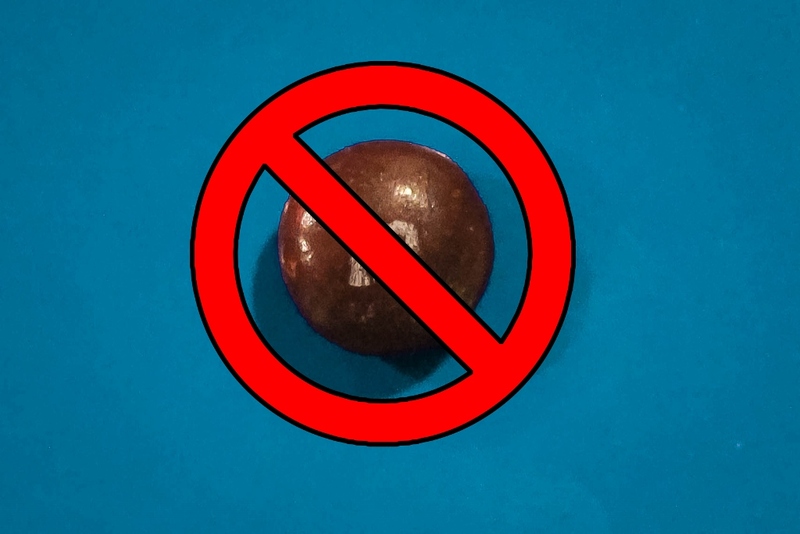 7 Responses to "No Brown M&Ms"
Jeremy: So in reading this article, it begs an answer to the question, does Sabbath observance justify a person? Scripture tells us plainly that “by the deeds of the law no flesh will be justified in His sight, for by the law is the knowledge of sin” (Romans 3:20). Nothing we do can justify us (that is, absolve us of blame and guilt) before God. Our sins are forgiven exclusively through the blood of Christ’s sacrifice (1 John 1:7). That said, once we are brought into a state of justification by that sacrifice, there are certainly things we need to be doing in order to remain justified. James notes that works maintain that blamelessness before God, “not by faith only” (James 2:24). Keeping the Sabbath as part of God’s law is one of those things—when we break the Sabbath (or any part of God’s law), we are again in need of justification through repentance and Christ’s sacrifice. In simplest terms, obeying the letter and spirit of God’s law does not justify us from previous offences—it only prevents us from needing justification again in the future. I find it remarkable, quite fascinating and ironic that the purpose of this article jolts Christians to not miss out on following the very detailed instructions of this life (as most excellently illustrated by the brown M&Ms), yet squarely rests the hope of us not missing those inscrutable details in our obedience rather than in the sufficient perfect sacrifice of Jesus Christ – the very essence of grace which saved us to begin with. There are two phrases that are deeply concerning here, “God trusting us” and “membership in His eternal family.” Is our salvation not in the very life, death and blood of Jesus Christ? Or is our salvation in our faithfulness? Like the stage that collapsed due to the miscalculation of the weight of the Van Halen’s band equipment, this article seems to dot the i and cross the t, but somehow misses the power and weight of the sacrifice and atonement of Jesus Christ. I wonder if that venue had fulfilled the contractual agreement leaving out the brown M&M’s from backstage, while failing to emphasize the weightier matters of the covenant (i.e. contractual agreement). Is that not a form of unthankfulness? Was that just an “oversight” like those people who set up the stage for Van Halen? Or does the power of Jesus not really mean much? This is no minor issue. The apostle Paul corrects the sinning Corinthians who were getting drunk and apparently partying at the Lord’s supper (1 Cor 11:20-21), as well as tolerating terrible sexual immorality, participating in sectarianism, suing one another in public court, and creating confusion in church by babbling in tongues no one could understand, among other things. Yet Paul refers to these loose and liberal Christians as “saints” six times in his first letter, gently correcting those immature believers. On the other hand Paul writes a stinging letter of rebuke to the Galatians, even questioning their salvation because of their running back to the law to establish and maintain their salvation. Please do NOT miss Jesus. If He really saved you, and maintains your salvation, He won’t be an oversight and you’ll let others know about Him. It’s clear that we’re both approaching this subject from two very different doctrinal vantage points, and it seems unlikely that either of us will convince the other. Since I don’t want the comments section to become an arena for debate, I’m going to make this the last comment on the subject. …the book of Galatians counters the mistaken thinking that salvation could be earned through some legalistic formula. It was not an argument against whether a believer was required to keep God’s law. There is a world of difference between thinking that salvation can be earned by keeping a set of rules, and the fact that those who receive salvation must live by God’s rules. This distinction is repeated throughout the book. My blog post was not meant to suggest that adherence to God’s law can earn us salvation or justification—but it absolutely is required of those to whom God grants salvation and justification. I certainly appreciate you taking the time to comment here, but as I mentioned before, this isn’t the place for theological or doctrinal debate. If after reading the article below you still have questions about the material, I would encourage you to send them in through this link. Article: What Is the Teaching of Galatians on Law and Grace? For me it is very simple: Romans 3:20 says, “…the knowledge of sin comes through the law” and Christ said that he didn’t come to abolish the law, but to fulfill (make fuller) and went on to show a “fuller” spiritual intent of the law. He continued by saying that not one dot shall pass from the law until heaven and earth pass away and that whoever doesn’t keep these and teaches others not to keep them, will be least in the kingdom and whoever keeps them and teaches others to keep them will be called great in the kingdom. The very one that saved me by grace is telling me these things are important and that I should keep them – I think, for me, that is enough of a reason to honor and keep them , including the 4th commandment. “For as the body without the spirit is dead, so Faith without works is dead also.” I don’t do it to “keep” my salvation. I do it because of my salvation!